Trains trains trains! 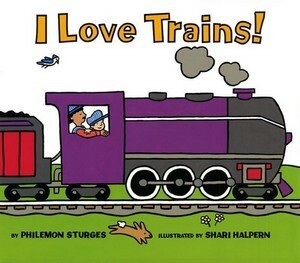 I love Trains! I’ve never done a survey about this, but I’d bet my two front teeth that most storytellers worth their salt have done at least ONE train-themed storytime through the course of their careers! Next time you find yourself on a train bound for glory, or you’re trying to figure out just WHO is in the kitchen with Dinah, throw in a train app or two either as part of your storytime, or as an extension activity and conversation starter after storytime is over. And yes, there are many Thomas Apps as well. Posted on May 30, 2013, in Apps, Story Time and tagged extension activities, trains. Bookmark the permalink. 1 Comment.